Well, that's not what I was expecting. 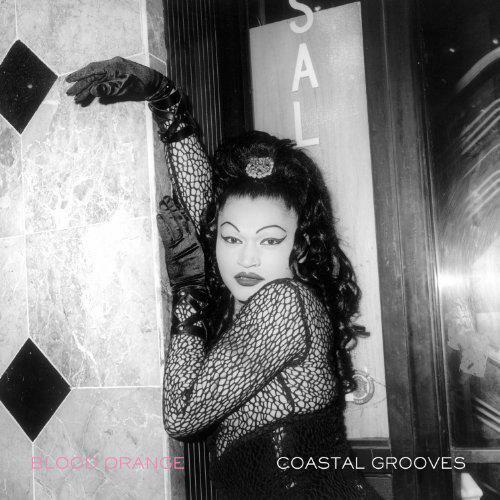 For some reason I had the impression that Coastal Grooves, the new album by Blood Orange aka Dev Hynes of Test Icicles/Lightspeed Champion, was 'dance' music. It's not. At the very most, you could say that it is 'dance-influenced' but even then the links to dance are tenuous. Using a drum machine does not make you 'dance' I'm afraid - just in the same way that crowbarring in a couple of scratches into your work does not make your metal nu or entitle you to be described as hip-hop. One of the main problems I have with indie music which claims to have a 'dance' influence is why does it always sound so toy-town? From nerdcore to nu-rave, most of the production values of 'indie-dance' pale in comparison to actual dance music, where drums are layered to become a sound-world, whether that be hectic, minimalist or crunky. Synths used in hip-hop and trance are MASSIVE, and synths used in dubstep and house are duuuurty. Dance producers tend to put an awful lot of thought into their programming, rarely resorting to using just the output of a single drum machine as if it were a drum kit (unless they are trying to mimic an older aesthetic like electro-funk or Chicago house). That's not the case with rock bands though - they are happy to replace a single drummer with a drum machine, ignorant of the fact that all elements of the music are intended to make you dance. Like the token scratches of Linkin Park and their ilk, playing over a drum machine does not make you 'dance music', sorry. Obviously I was mistaken, but I was lead to believe that with Blood Orange, Hynes had done a Kele Okereke on us - left his band (or better known persona if you prefer) behind, moved to a big city in a foreign land, explored new avenues and started making club music. The design of the album and single sleeves (Peter Saville simple and fashionably retro-80s respectively) do nothing to contradict this, and neither do the photo shoots of Hynes in baseball caps and leather jackets, making him look like a member of Hercules & Love Affair who has been kicked off the tour bus. Ultimately, what we are seeing with Blood Orange is a triumph of branding (or re-branding, rather) than actual music. In a way it proves the importance of aesthetics in the modern music business, how much is sold on image and story rather than on a strictly-sounds basis. Blood Orange actually sounds relatively similar to Lightspeed Champion, but you wouldn't know that from the interviews, reviews and press pieces that have covered it. It's a bold new beginning apparently. Hynes has brought up the legendary New York transsexual Octavia St Laurent in interviews and her eyes feature on the cover of the album's lead single. Laurent reached legendary status after her appearance in the 1991 documentary Paris is Burning, about the black, gay, underclass subculture of voguing and drag balls. Of course, Hynes is entitled to refer to anyone he chooses, but fans of that scene (and it's recent re-emergence in the American underground) will find little of interest on Coastal Grooves. However, if you ARE looking for music that drips black sweat, that is gay in a good way, that is incredibly well produced and will actually make you dance, then head straight for the debut album by Azari & III on the Canadian Turbo label - it's everything Blood Orange isn't. In fact it's everything you hoped Hercules' last album would be too - a really excellent 'dance' long player. I'm aware that I have not talked about the actual music on Coastal Grooves much, but then that's not really the point of this review. The album's already out, if you are craving opinions on the sounds you can find them elsewhere. Or here's an idea - go listen to it and make up your own mind. To these ears it's distinctly wishy-washy, lacking any real stand out songs and featuring some really grating guitar work. And this is from a man who is supposed to be writing future hits for X Factor and Jay-Z. Hmm, I am suspicious. 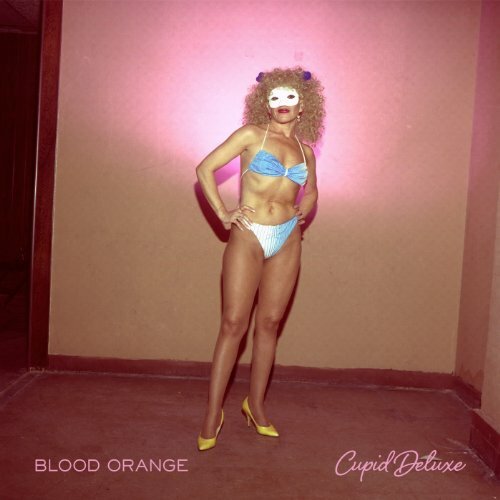 Yes, there are some drum machines used in the production of Blood Orange, but they don't make me want to dance. Not in the slightest - and that's a bit of a fail really. I did quite like some of Test Icicles stuff though and I will admit that Blood Orange is an excellent name. It's just a shame about the music.